Rain, rain go away, please come at a much later day!! That pretty much sums up how I feel about the current weather in Calgary. We have had rain every day now for about two weeks. And I do not want to give the wrong impression, I do love rain and it is great for our garden and outdoors, but could we not have a few days of sunshine???! In a perfect world I would love if it was nice during the day and rained at night, even thunder showers, I love watching thunder showers. But sadly I do not control the weather, so we are all at its mercy. As the weather has kept us indoors quite a bit lately, I felt like a good home cooked meal and since I had the day off today I was able to try to overcome my issues with homemade cheese sauces. I have tried to make a cheese sauce for homemade mac and cheese numerous times and I always come against the same obstacle, it tastes gritty and it does not taste as cheesy as I think it should. So I spent the day watching a few youtube videos and I realized that I had been using the correct ingredients, but I just needed to learn to be more patient when it came to the formation of the cheese sauce. Please note patience is something I am not the best at, I usually am moving too fast and doing to many things. Despite that, for one evening I wanted to try to do this cheese sauce justice and decided to practice patience. For each item you add to the pot for the cheese sauce, you need to wait while the ingredients incorporate and cook properly, so make sure to not skip any of these important steps. This is definitely a hearty meal, do not think of the calories!! We wanted something fun to eat while we sat down to watch the NHL Stanley Cup and congrats to the Boston Bruins! This macaroni and cheese was delicious cheesy goodness. It is a versatile dish, add different vegetables or even add chicken and get adventurous with the types of cheeses you use, hope you enjoy! 1. Bring large pot of water to boil. 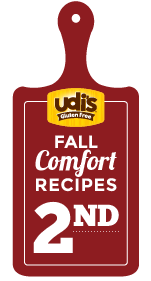 Add gluten free pasta and undercook pasta by 3-4 minutes, until just tender. Rinse under cool water. 2. 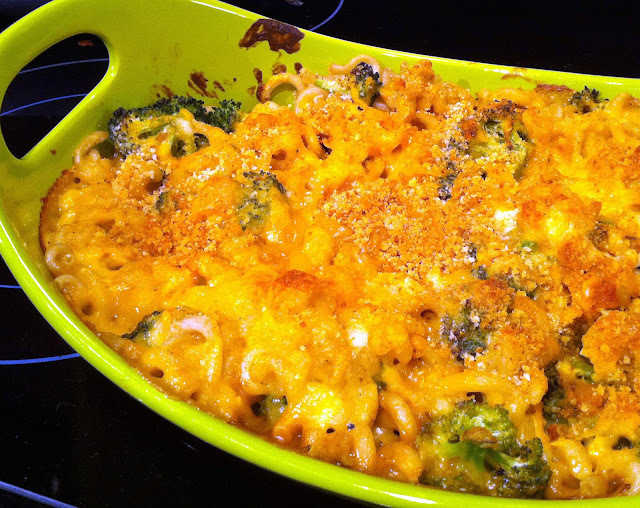 Add pasta and broccoli (raw) to large casserole dish and mix together. 3. In a pot, melt butter on medium-high heat, allow it to completely melt and foam a bit. Using a whisk, add brown rice floor and continue to whisk ingredients to remove any lumps, this will create a roux which is the base for the sauce. Reduce heat medium and continue to cook the roux for 3-4 minutes occasionally whisking until it is blonde in color, do not allow it to brown. 4. Make sure milk is cold, as roux is hot and they must be at opposite temperatures for the cheese sauce to cook properly. Add 1/2 cup of cold milk while continuing to mix with the whisk, slowly add the remainder of milk. Allow this to cook 15 minutes while continuing to occasionally mix. 5. Mix in Dijon mustard, paprika and pepper. 6. Remove pot from heat and add 2 1/2 cups of the sharp cheddar and smoked Gouda. Mix until cheese is all melted. Pour sauce over macaroni and broccoli. 7. Top with remaining Cheddar and Gouda. 8. Sprinkle with Parmesan cheese and breadcrumbs. 9. Bake uncovered at 375F for 30 minutes. Enjoy!